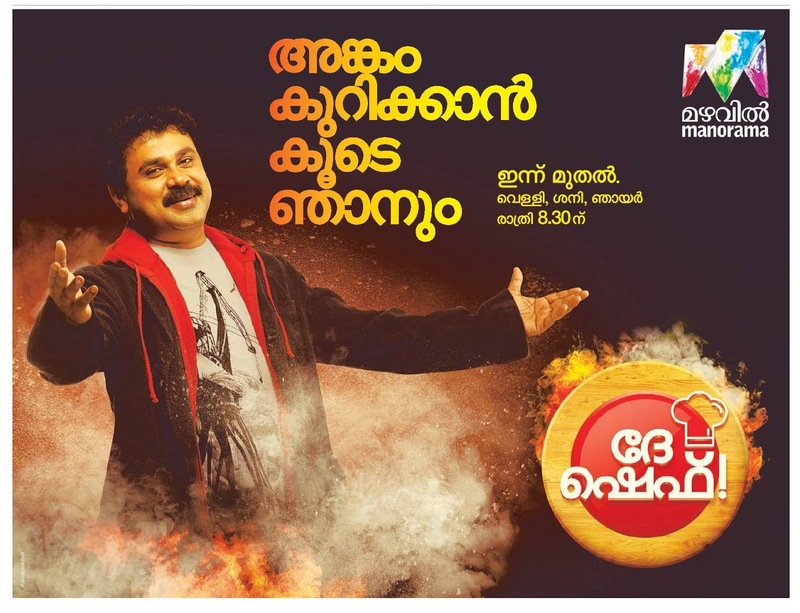 Leading general entertainment channel Mazhavil Manorama will lauch the new cooking reality show titled 'De Chef' this November onwards. De Chef will be hosted by actor Dileep and will have a prize money of 50 lakh rupees. De Chef reality show will be aired during 8 to 9 pm every Fridays to Sunday. The show will have 20 contestants, with a panel of 3 judges. The various sections of the show include Time restriction, Pressure Test, Mystery, Outdoor Tasks and Puzzles.